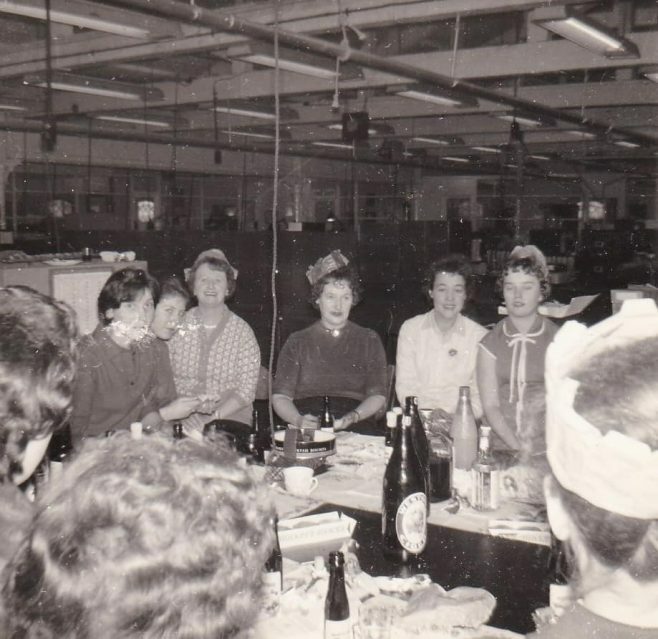 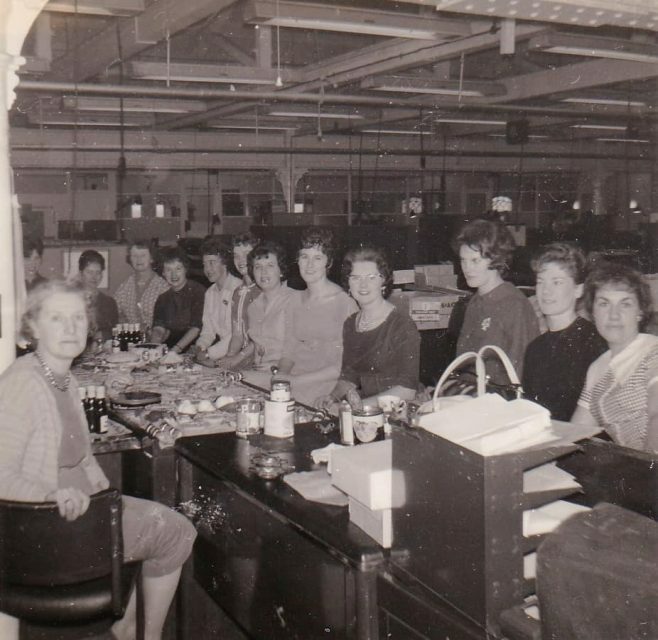 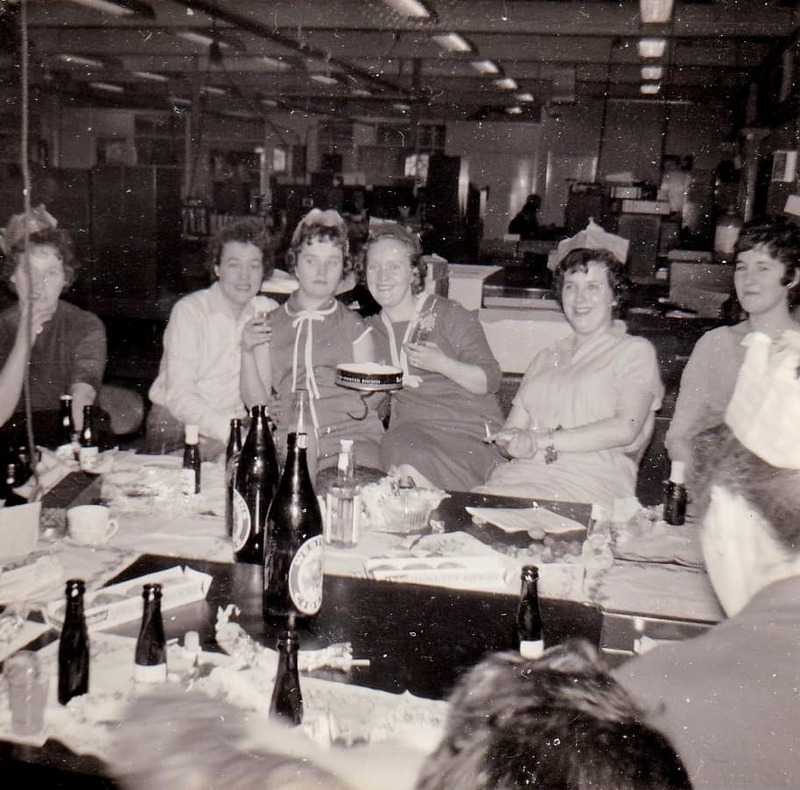 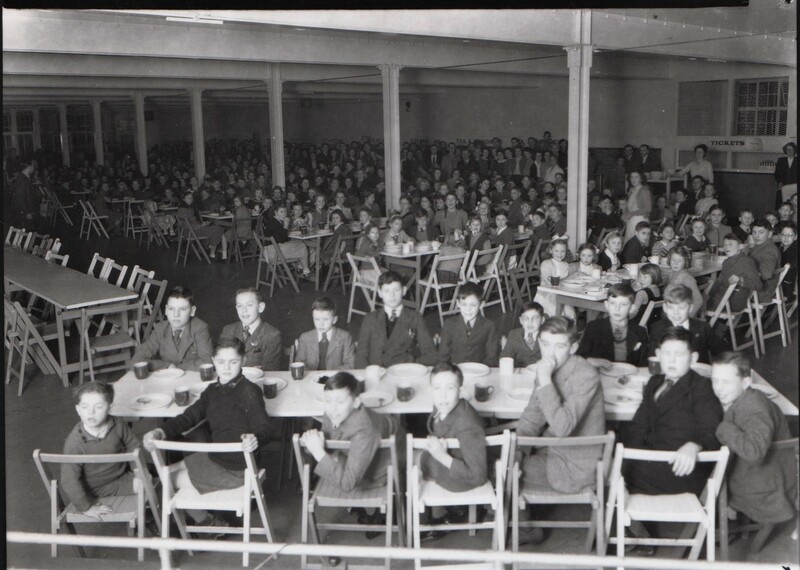 Christmas time at Dowty sites and offices would be celebrated in so many ways, employees would decorate their work areas, mince pies would be brought into work and shared with colleagues, the canteen would arrange a christmas dinner menu and some workers would even manage to have a glass of sherry or something stronger! Christmas as we all know, was mainly for the children though, it was a magical time of the year and the Dowty workers organise parties and visits to pantomines to help them to enjoy the festive period to the full – this was particularly so after the years of austerity during and just after the war! 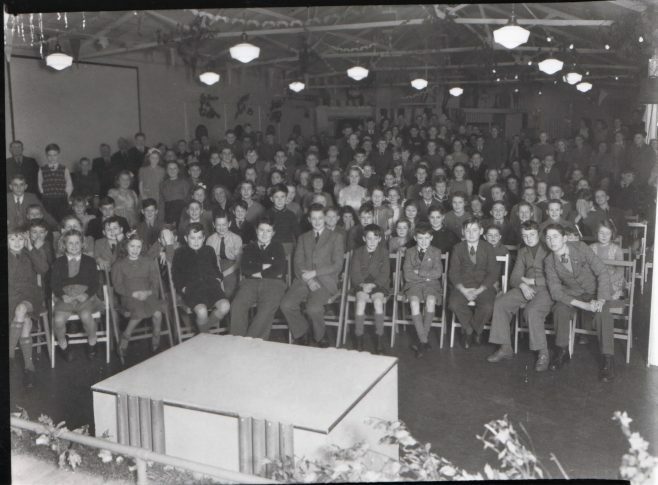 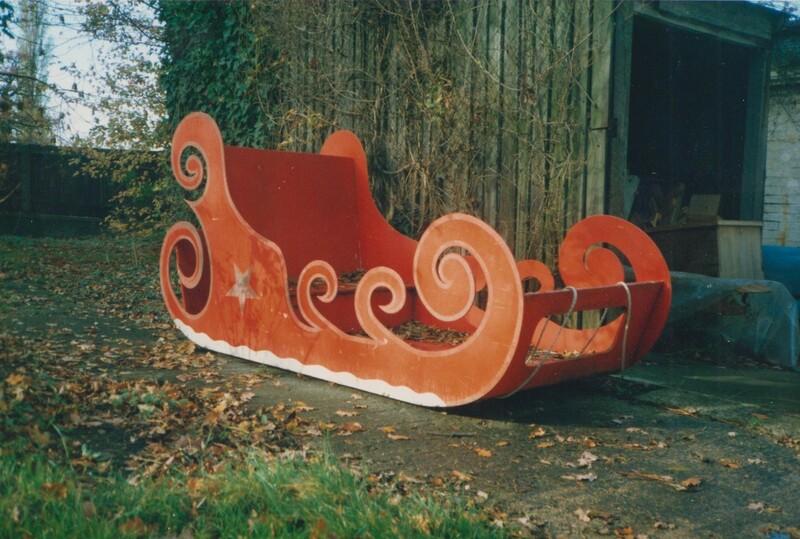 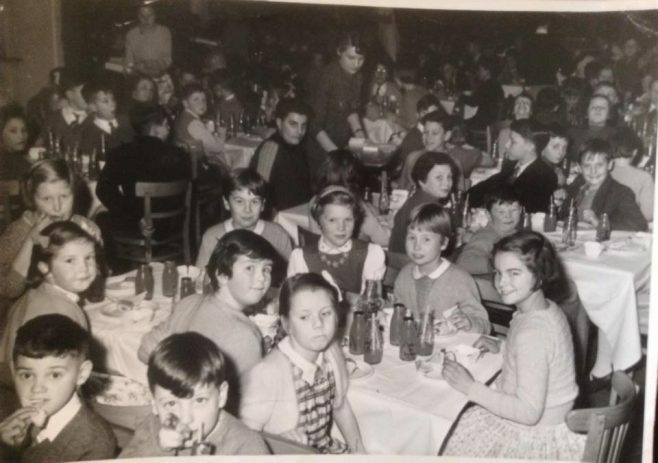 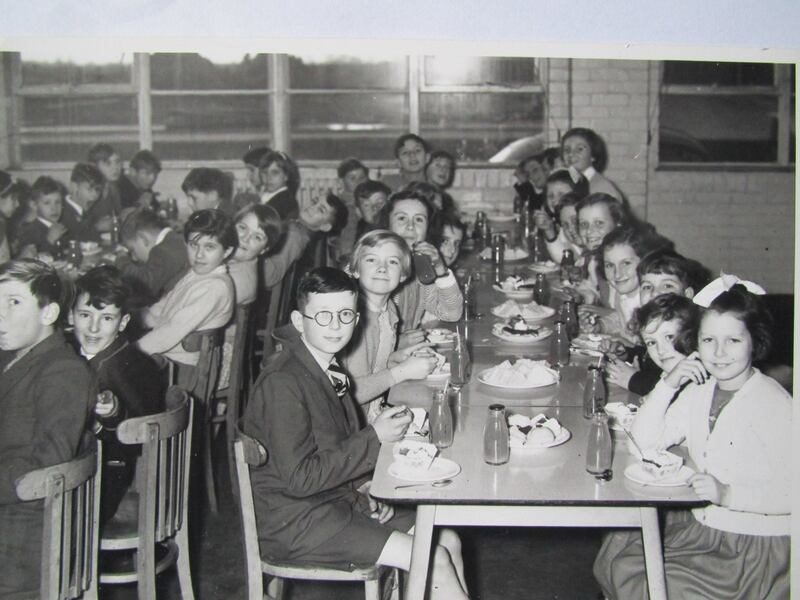 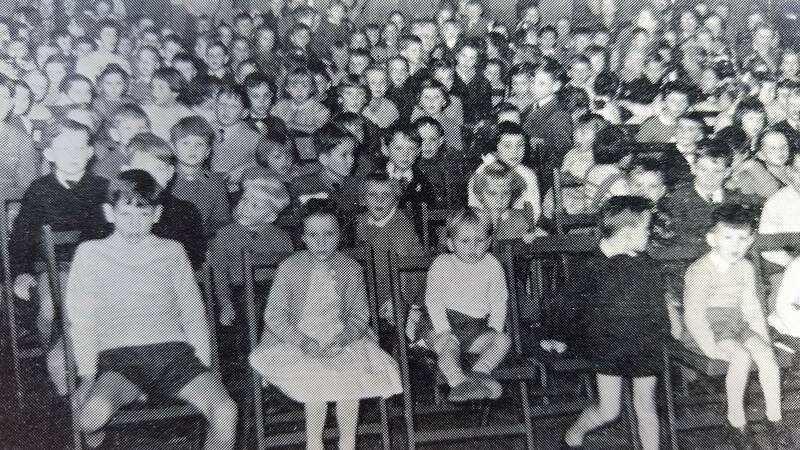 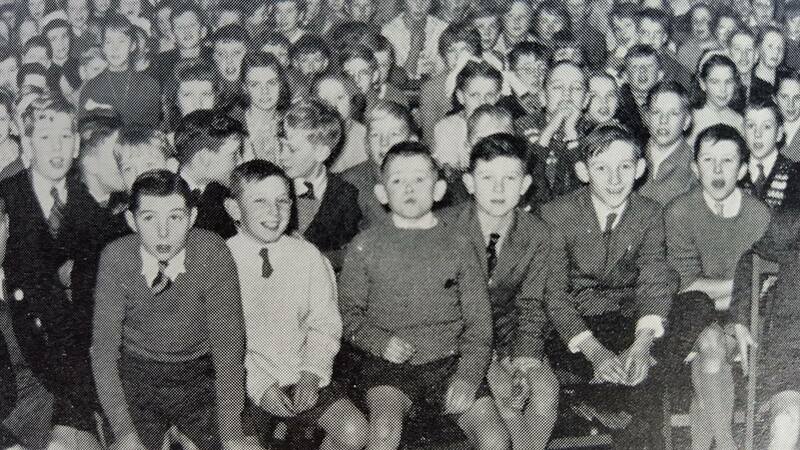 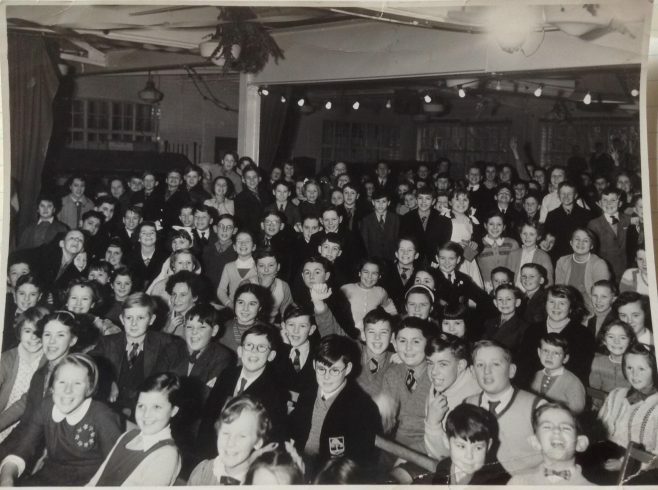 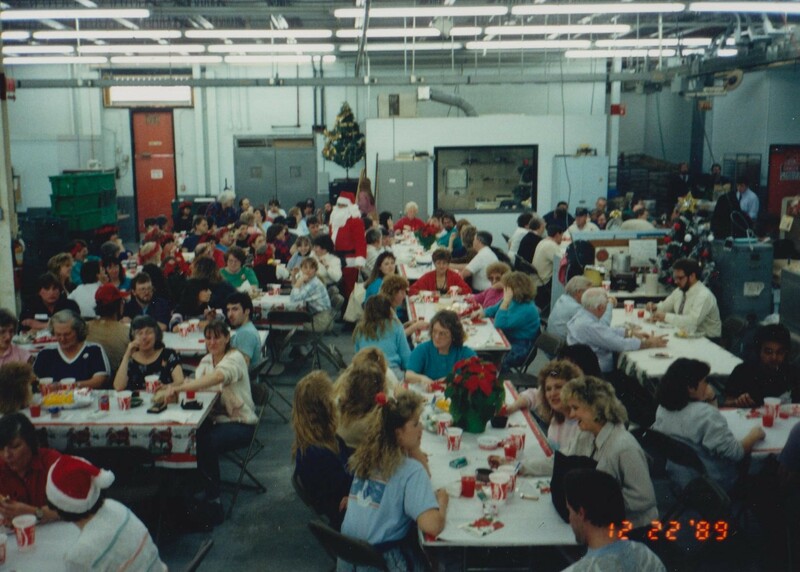 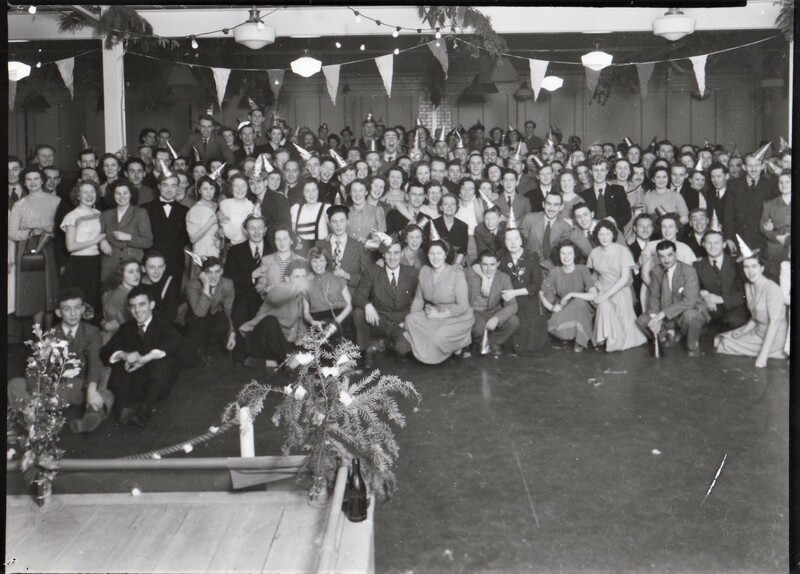 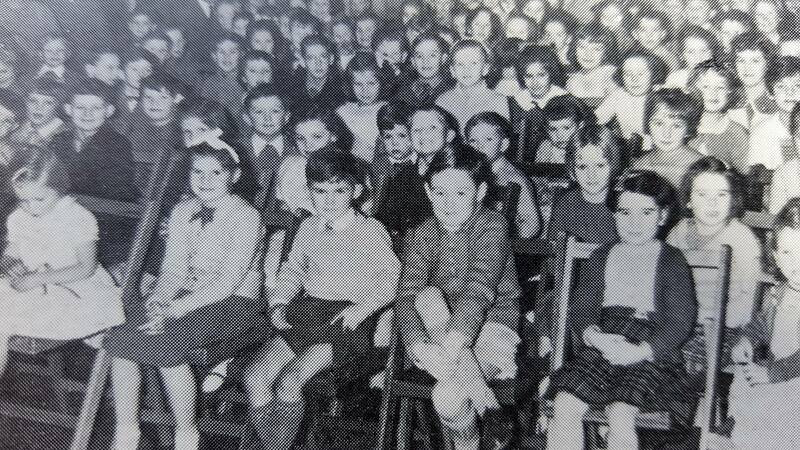 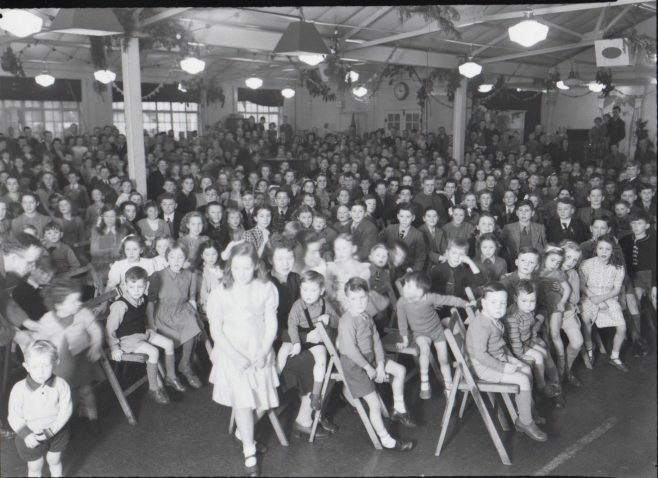 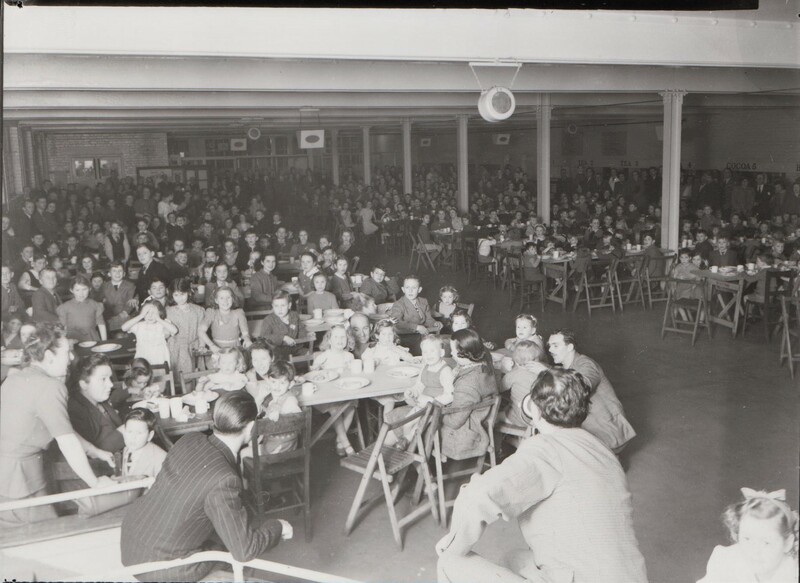 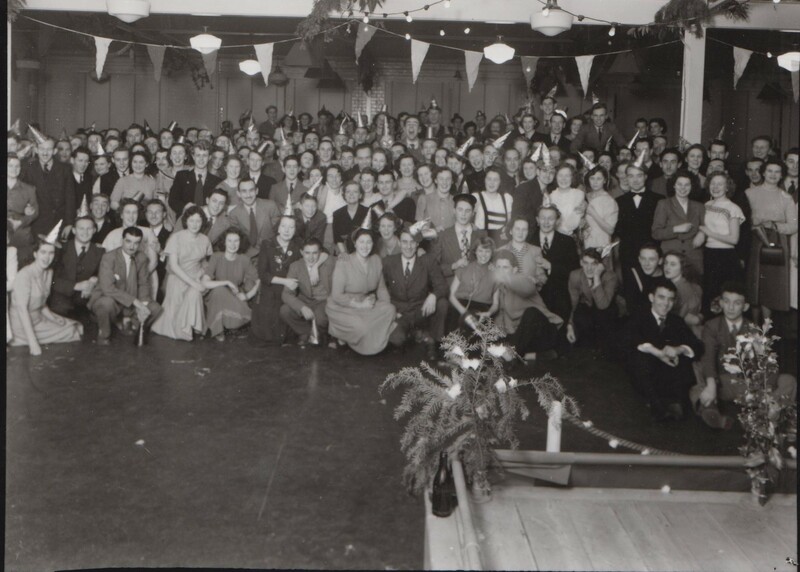 Here you can see photographs about how Christmas was celebrated at the Dowty sites. 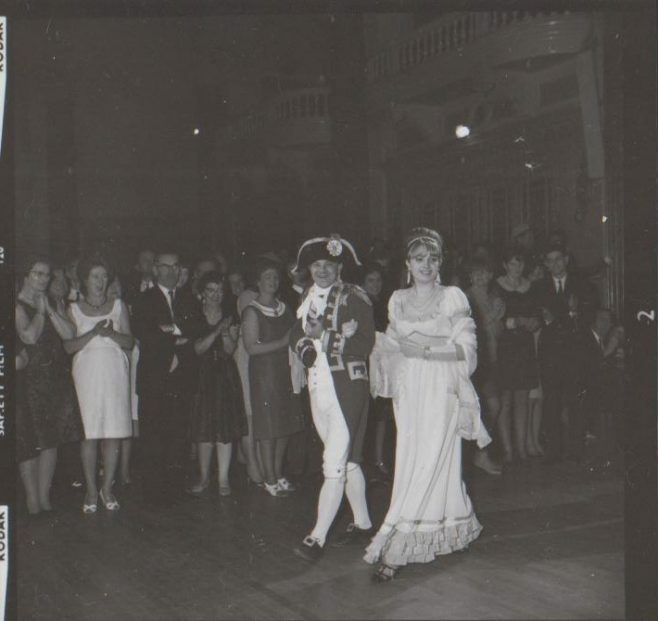 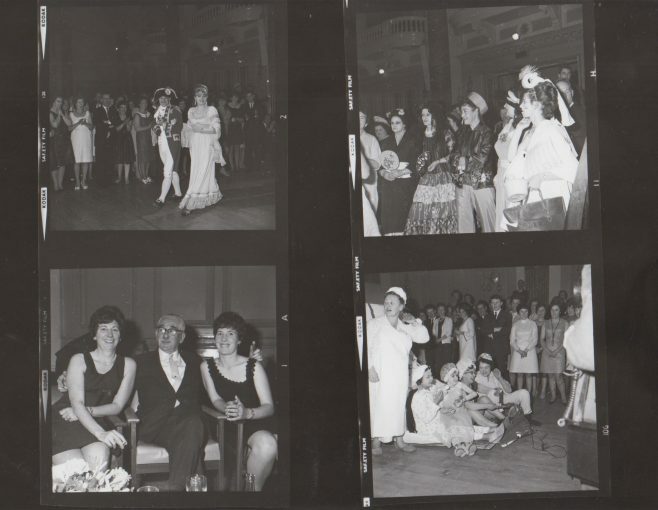 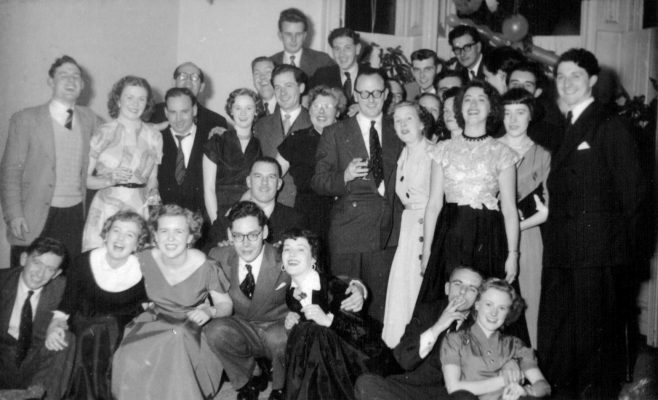 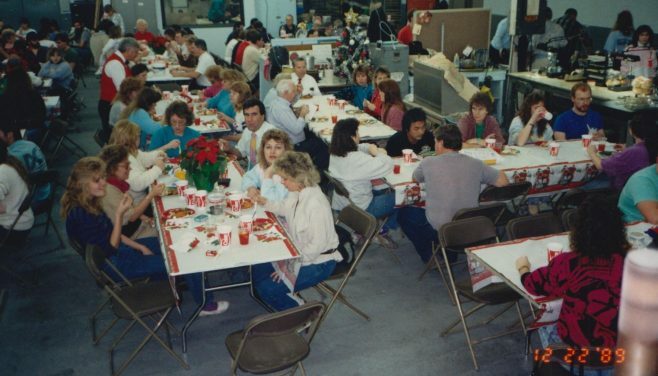 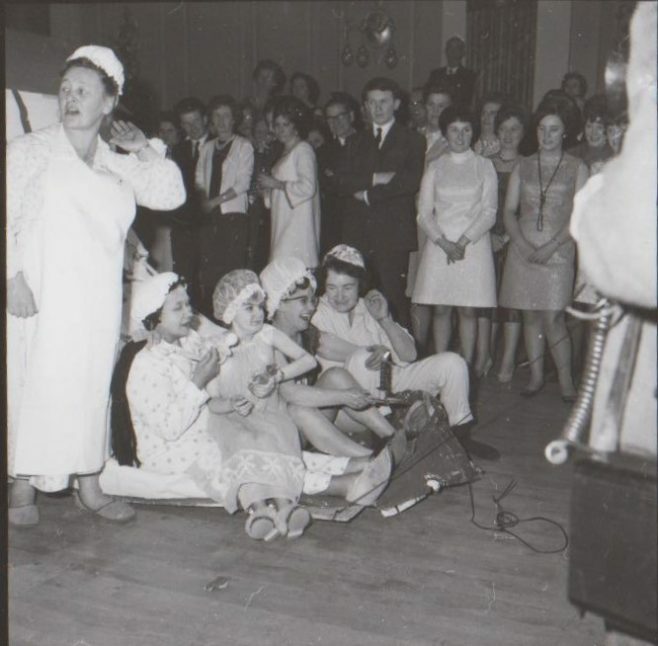 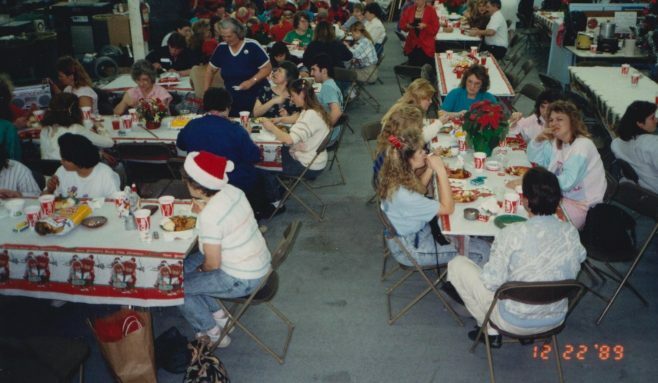 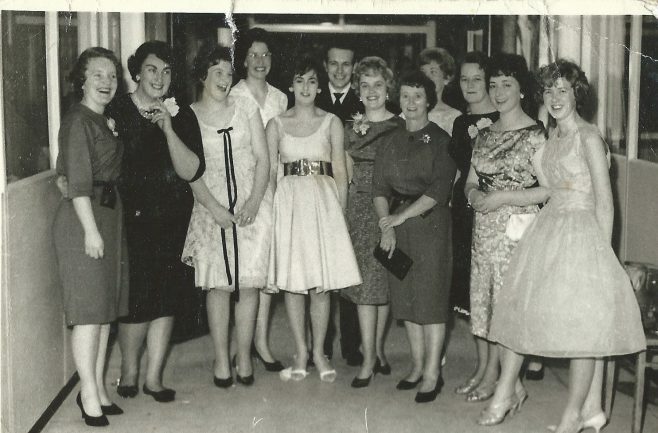 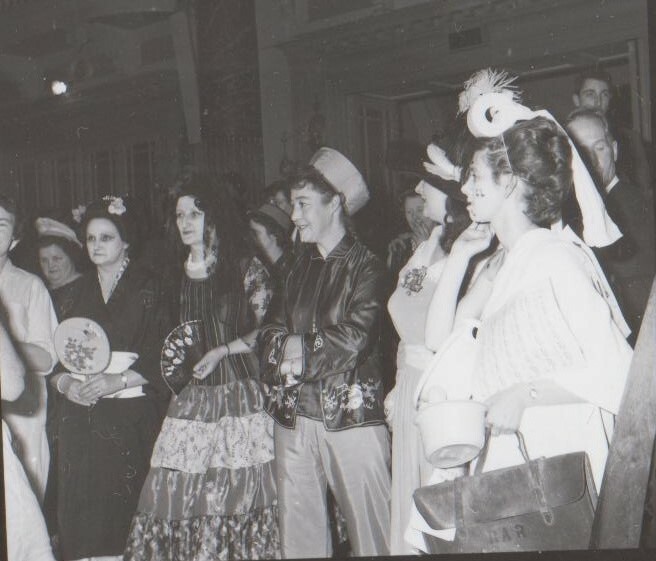 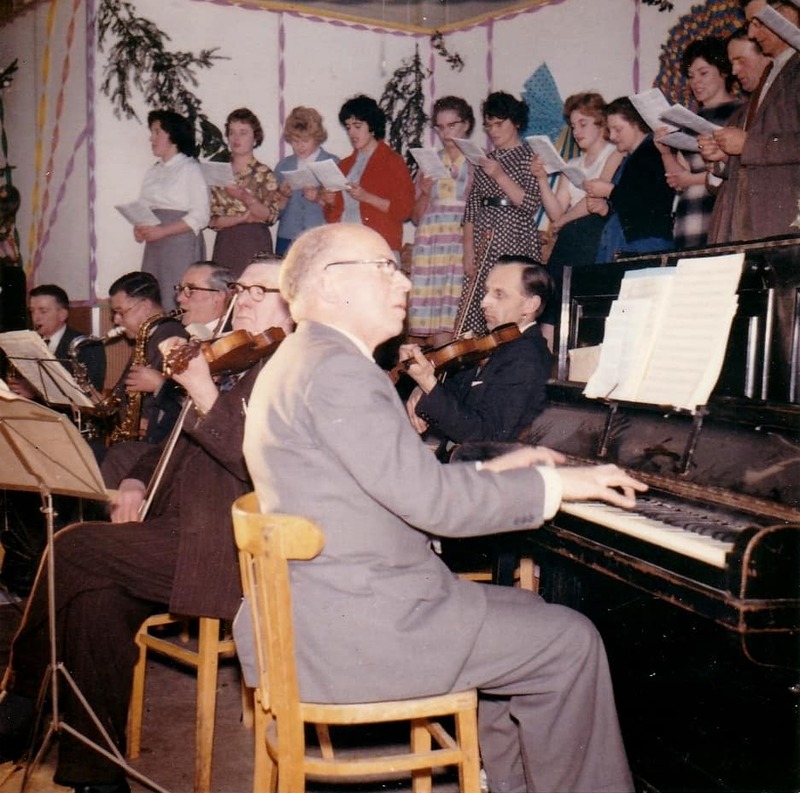 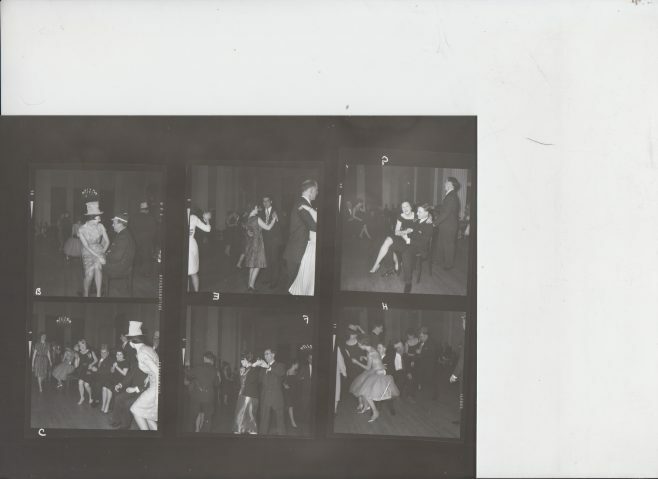 Dowty Christmas event between 1955 and 1960. 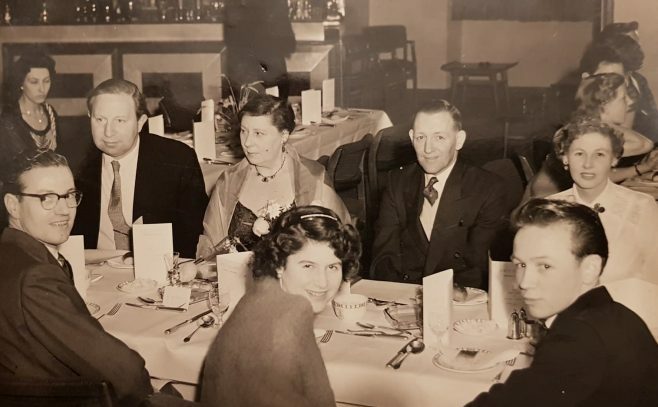 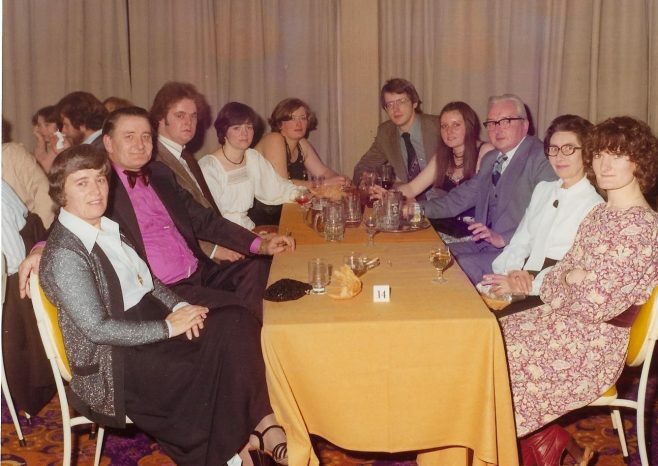 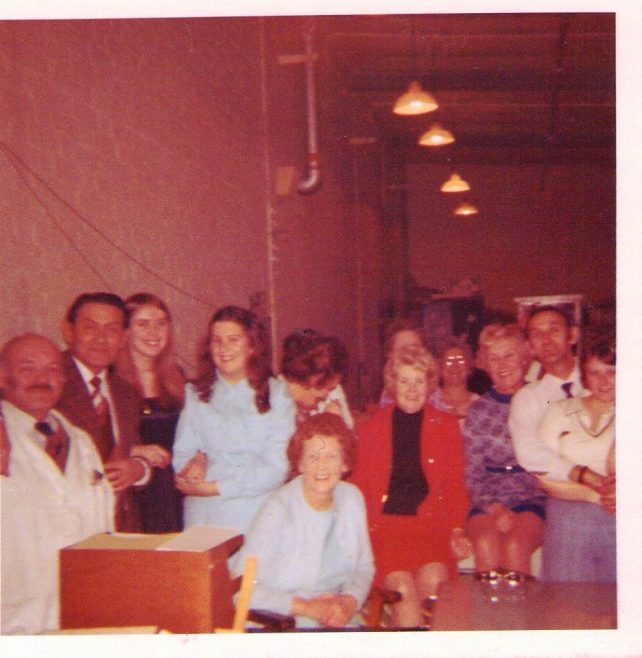 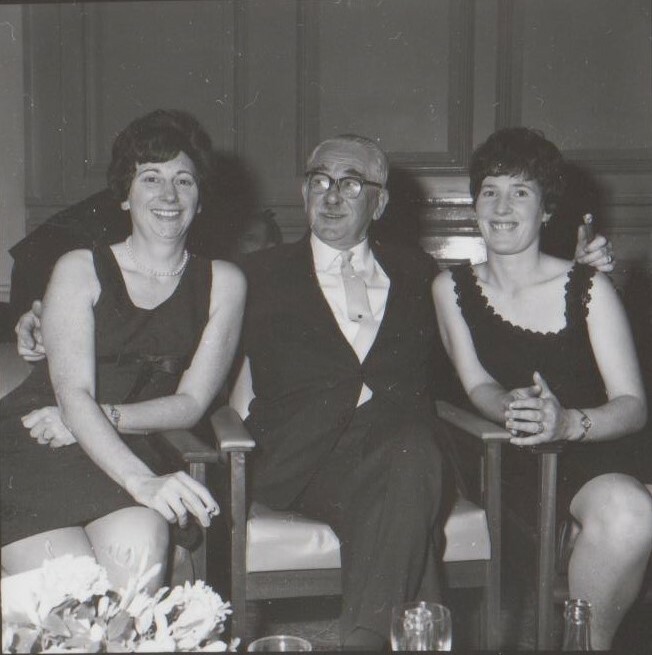 Les Walton, back right, worked in the wages department at Arle Court and the Time/Wages office at Rotol.